Founder and President of a dynamic company that caters to the needs of the property loss recovery industry. In this role, Fred is responsible for corporate branding, business development, general operations, construction, management processes and estimate preparations. Fred has been actively engaged in the restoration and construction industry professionally for 18 years. His knowledge, professionalism, and passion for the construction and restoration fields have earned him a reputation as an industry expert. His professional knowledge has been gained through production experience, estimating, insurance affiliations, trade associations, and continuing education programs. Fred’s professional opinions and advice are often sought by those within the general contracting and insurance, engineering and restoration industries alike. Steve joined Compass Construction as a partner to Fred in 2000. As Vice President, his role is Field Operations Manager with oversight of our Project Managers and crew members. Steve has over 2 decades of experience in the construction and restoration industry. With those skill sets, Compass Construction is based on a very solid foundation. Per Steve, “I love knowing that our company works as a team to provide every aspect needed for the client in today’s competitive market.” Our continued research and education of current trends and developments in the remodeling and restoration industry has allowed us to provide a level of quality that our clients expect from us. Prior to his partnership with Fred, Steve worked for NorWest construction and KIP Development in Pullman. For fun, Steve enjoys playing baseball. Kevin has more than 30 + years of experience in the construction industry joining Compass Construction in 2010. His responsibilities are managing several positions, including Operations, Project Management, Estimating and Business Development. He is responsible for providing strategic direction; aligning business, financial, service and operations initiatives with company goals: overseeing the management of projects and client relationships; and leading marketing and work acquisition efforts in the Inland Northwest. Prior to his role at Compass Construction, Kevin developed the insurance repair division at Spokane Carpet One for 5 years. Under his leadership, this strategic business unit expanded rapidly and accounted for a significant portion of the company’s overall revenue. Kevin also owned and operated a Design/Build firm in the Silicon Valley for 18 years that exceeded $2 MIL in annual sales. Fun little facts about Kevin; he is a student pilot with 11 solo hours, lived through the 1989 Loma Prieta earthquake and worked with FEMA during Hurricanes Ivan and Jeanne in 2004. Kevin lives in Coeur d Alene, ID with his wife and teenage son. Jessica is a Montana native but moved to Coeur D Alene over 10 years ago. She attended school at Montana State University (Go Cats!). She is passionate about marketing and business development and growing the Compass Construction name. After years of working as a licensed Insurance Agent, she was able to bring her insurance knowledge to the restoration side of business. In her free time, she volunteers for CASA and with the local Arts programs. She has 3 kids and 3 fur babies and enjoys camping, paddle boarding and anything on the water. Stephanie joined the Compass team in September of 2015, starting as Administrative Assistant and now as our Senior Administrator. Previously, she was the owner of a tree service company in the Seattle area. Stephanie grew up in Spokane and decided to move back to be closer to family and friends. She was new to construction when she was hired but it was clear she was the perfect fit for Compass Construction. She directly handles all program compliances and coordination, new client intake, new employee intake and training, and last but not least, directing traffic in the front office. In Stephanie’s free time she enjoys going to concerts, camping, Seahawks football, and spending time with my little boy and partner Jeff. She has a positive attitude and is always having fun in the office! Abbi is originally from Yakima but moved to Spokane in 2008. She has been working for Compass Construction since 2017 as our Accounts Payable Specialist. She is in charge of managing employees time, taking service calls and additional general administrative duties. Abbi graduated from SFCC with a degree in Business Administration. In Abbi’s spare time, she enjoys playing the guitar, baking, snowboarding and boating as much as possible in the summer! Kim joined Compass in the summer of 2017 from ServiceMaster in Bend, Oregon. She brings 20+ years of experience to her position with us as our Accounts Receivable Specialist. Her knowledge and professionalism stem from owning her own business for over 15 years. In Kim’s spare time, you would find Kim crafting or sewing. She also enjoys kayaking, camping and all things outdoors. Vince graduated from Cal State University Long Beach in Business & Communication. He has over 14 years handling residential and commercial claims in the insurance industry with emphasis in large loss. Vince also has 14 years in the insurance restoration industry in estimating, marketing, & project management. He has responded to multiple catastrophes both for insurance and restoration. He is our master at Xactimate estimating platform since 1991. In his free time, like most in the PNW, Vince likes to fish and hike and generally anything outdoors! Doug has been in the restoration business since 2009. He has served our customers in many roles; as project manager for Service Master by Compass (our sister company), the general manager for Service Master by Compass, and currently as an Estimator. He is well versed in all aspects of a restoration project, from scoping a loss, working with adjusters and insurance companies and writing estimates to restore homes and commercial properties. He is IICRC certified in Water Damage Restoration, Fire & Smoke Restoration, Applied Structural Drying, and Carpet Cleaning. When not working hard to serve our customers, Doug enjoys spending time with his wife, 6 children and 3 grandchildren. He is a member of Trinity Church in Coeur d’ Alene, ID and he enjoys hunting, golfing skiing and most outdoor activities. Shelby has been in the construction industry for 22 + years and a General Contractor for over 15. He began in remodels and worked his way into custom homes specializing in geo thermal and radiant floor heat, masonry and finish carpentry. Shelby is married with 4 children. In addition to his 58-acre farm with 140 animals, with any additional free time, he enjoys hunting, fishing, camping and anything outdoors. Shelby is a passionate person with a drive to help people. He is a valuable member of the Compass Construction family. With a childhood immersed in the family construction and remodel business, Logan began to learn the tools of the trade almost about the time he learned to ride a bike. 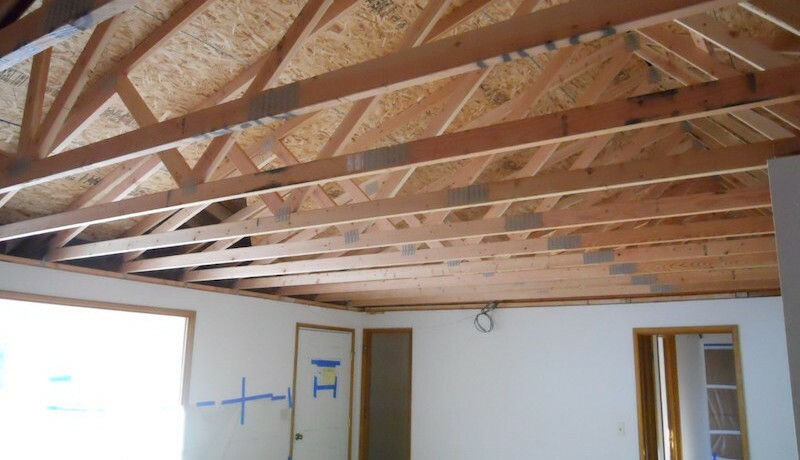 Through his 12+ years of experience in residential and commercial new construction, renovation, finish carpentry, sub-contract work and finish installation, Logan quickly recognized both passions to create and help people. In the past 2 years at Compass Construction, Logan has been able to hone his skills in project management with key motivations to meet budget goals, beat timeline schedules, and ensure that all projects are completed to the highest standards while ensuring that the client’s needs and desires remain the top priority. He not only aspires to assist our customers with all aspects of the construction process through support with insurance claims and adjustments, design solutions, finish selections and contractor support, but also aims to build a lasting relationship with each and every client in hopes to help ease the potential burdens of disaster loss. Often the first to arrive and prone to stay until the job’s complete, Logan thrives on the guarantee that every customer is satisfied and won’t slow down until this is accomplished. Logan’s persistence stems from his high levels of adrenaline which are fulfilled in his free time through all types of extreme sports, especially snowboarding and competitive downhill mountain biking. His love of the Northwest and the peacefulness of nature are what motivate Logan and every spare minute he has is spent outside. Along with sky diving and heli-skiing, Logan’s top item on his bucket list is to watch his little boy grow and help instill the skills into his son that he was able to gain as a child. Peter has been with Compass Construction since December 2016. He has worked in the construction Industry since he was a teenager. While in school, he worked summers building houses in the family business. After Peter graduated from Pacific Union College where he received his degree in Business Administration with an emphasis in Finance, he started working full time in the family business doing insurance renovation projects. Thankfully he moved to Spokane and began working for us here at Compass! Dustin’s extensive knowledge in several facets within the field of construction brought him to Compass Construction over a decade ago. He began his career as a framer, building new homes and remodeling damaged properties. He has experience with stick framing methods as well as Styrofoam block homes, log homes, pole buildings and code requirements. As a Project Manager, Dustin is responsible for understanding the customer’s goals and desires prior to the beginning of the project. As the liaison between the customer, suppliers, insurance adjusters and sub-contractors, he must ensure the prompt delivery of products and materials. Timely scheduling and continuous communication with the customer ensures that Compass Construction is meeting their needs, as this is key to our success. Dustin spends his free time enjoying the great Inland Northwest with his wife and 7 children. In the summer months they enjoy camping, hiking, kayaking and exploring. In the winter, they take advantage of the nearby ski resorts for snowshoeing and snowboarding. He is an avid history junky who enjoys documentaries and non-fiction books that have defined our nation’s growth. Ken grew up here in Spokane and started New Castle Construction with Fred Anderson in 1994. He can do literally anything in regard to home building. Historic restoration, painting, remodeling, Ken has done it all. He joined Compass Construction back in 2001. Ken is married to Amy and they have two kids. Ken is a family man who spends every extra minute with them camping, fishing, kayaking or playing soccer. We are so lucky to have him apart of the Compass family. 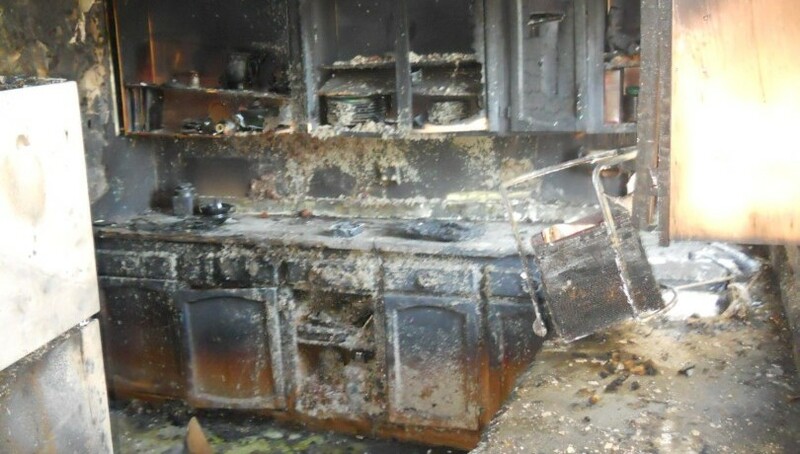 Restore your home or business to its before loss condition. 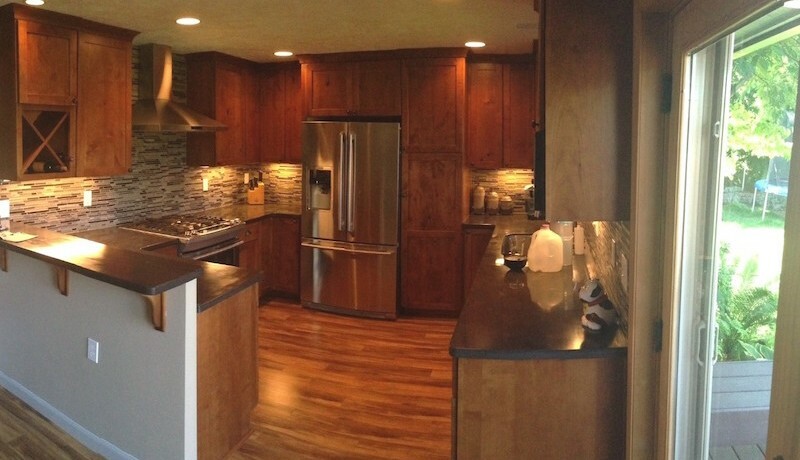 Kitchen remodel, a bathroom remodel or replace your roof and windows we can help there too.